So the secret is out… I’m expecting! We are so excited to announce that we are expecting a little boy in April of 2016 and we could not be more elated. This is baby #4 for me but even though I’ve done this a few times before, the excitement never gets old. What has been different this time around is that since I am due in April my 3rd trimester will be through the winter months whereas with my other three all being born in the summer/fall timeframe I was always bigger in the warmer months. Figuring out how to stay warm but also still dress cute has been a fun challenge that has opened my eyes to some great maternity staples that I never needed before. Who isn’t looking for cute maternity clothes?! 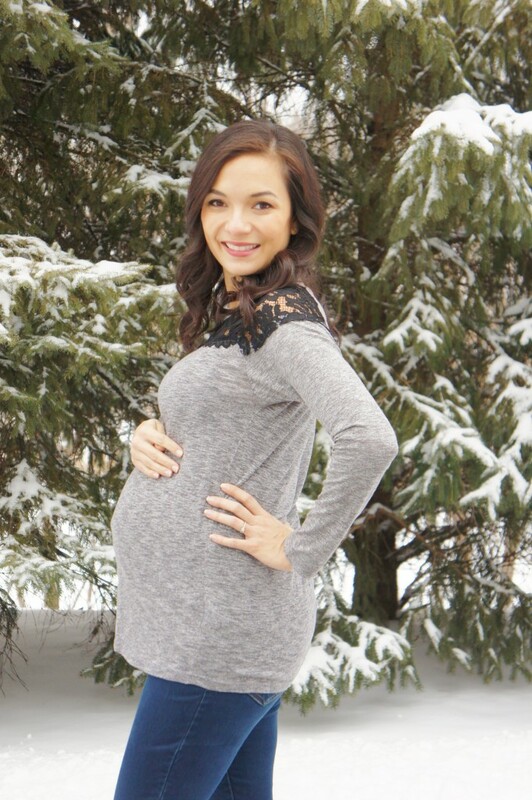 An amazing find was the website PinkBlush Maternity which is a website that has amazing maternity clothes that are trendy, comfortable, and at an affordable price. Its like the perfect maternity boutique! This site helped me put together some outfits that I know I will be wearing throughout the duration of this pregnancy and after. Since the new year is here I thought I’d showcase 3 great outfits for 2016, 2 today and 1 more this weekend, all from PinkBlush Maternity! Look 1: Casual, Comfy, and Cute. I am so in love with this grey top that has black lace detail along the collarbone and shoulders. It is super cute and can be dressed up or down depending on the accessories and pants but the best part about it? It is so incredibly comfortable which at this point in the pregnancy is crucial! The fact that it is grey and black make it extremely versatile and match multiple staples in my closet. Look 2: Dressy with Sparkle. This is actually the exact outfit I ended up wearing on New Year’s Eve because it it was simple but with the perfect amount of gold sequin detail on the sleeves that screamed ‘Happy New Year!’. Comfort was not an issue with this beautiful sweater as it was longer, a bit loose, but incredibly soft and although thin was still amazingly warm. I paired it with dark wash maternity jeggings and dark brown mid-calf boots. No crazy accessories needed as the gold sequins stole the show. Stay tuned because coming up next is another outfit from PinkBlush Maternity that is an absolutely stunning dress I am excited to wear for an upcoming event. They have beautiful maternity dresses but this one I absolutely fell hard for. I’ll have pictures and details on my next post this weekend so you don’t want to miss it! 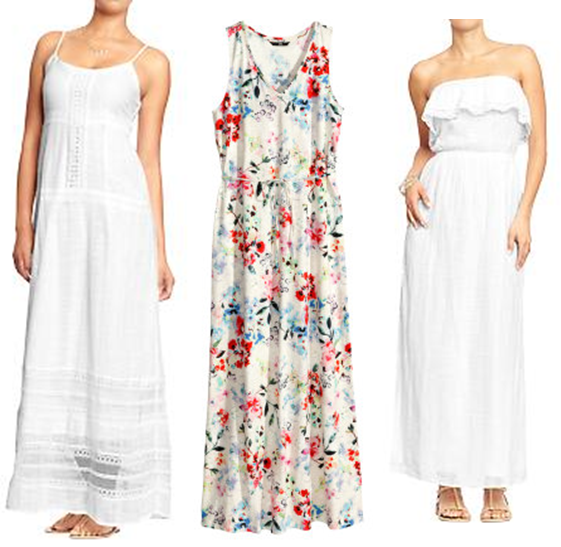 What are some go-to outfits that you have in your maternity wardrobe? All, Beauty, Fashion clothes, maternity, trends. permalink.